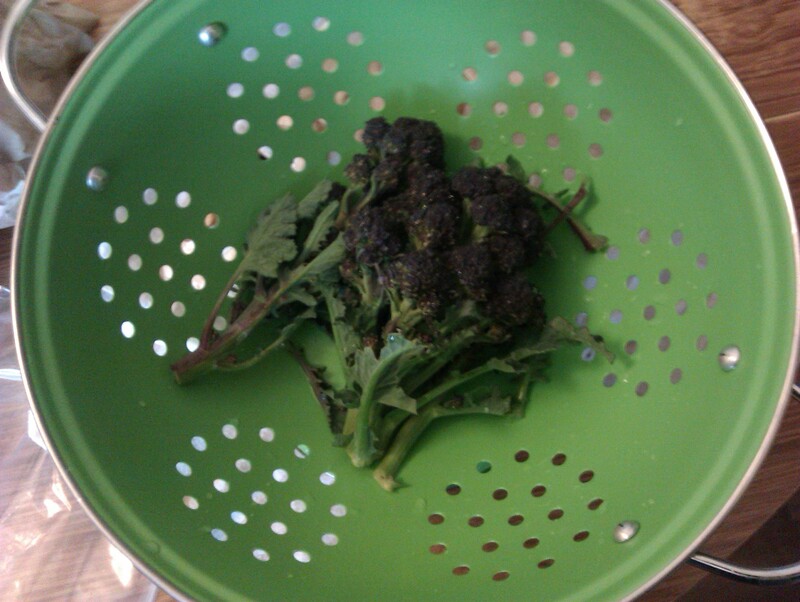 How do I love thee, Purple Sprouting Broccoli? 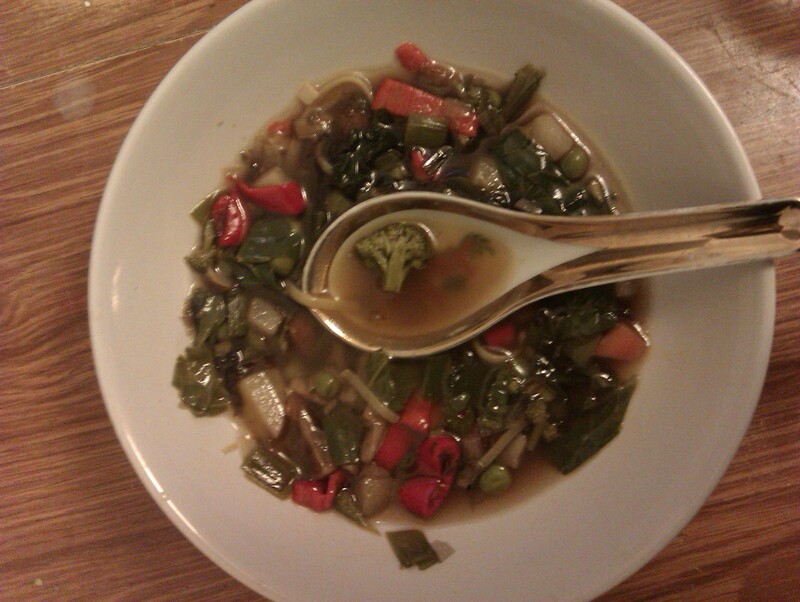 What’s in it: leeks, peas, Jerusalem artichokes, spicy red pepper, chard, bit of carrot, and purple sprouting broccoli. Soup with pumpkin, ginger & rice noodles (gluten free, bought on a whim from Persepolis in Peckham). What to do: stir fry the veg with fresh minced ginger + garlic in sesame oil, touch of chilli oil, add soy sauce, some veg broth, noodles. Simmer until done. 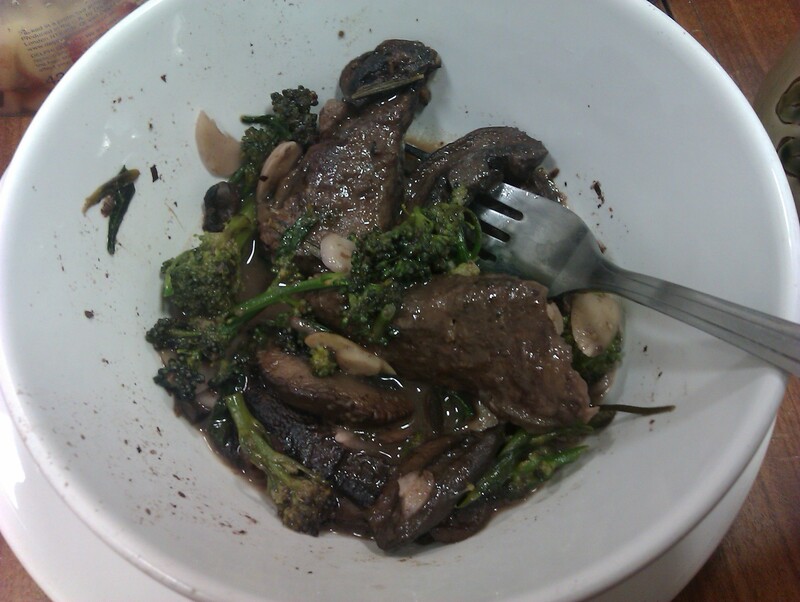 What’s in it: mushrooms, Jerusalem artichokes, leeks, and purple sprouting broccoli. 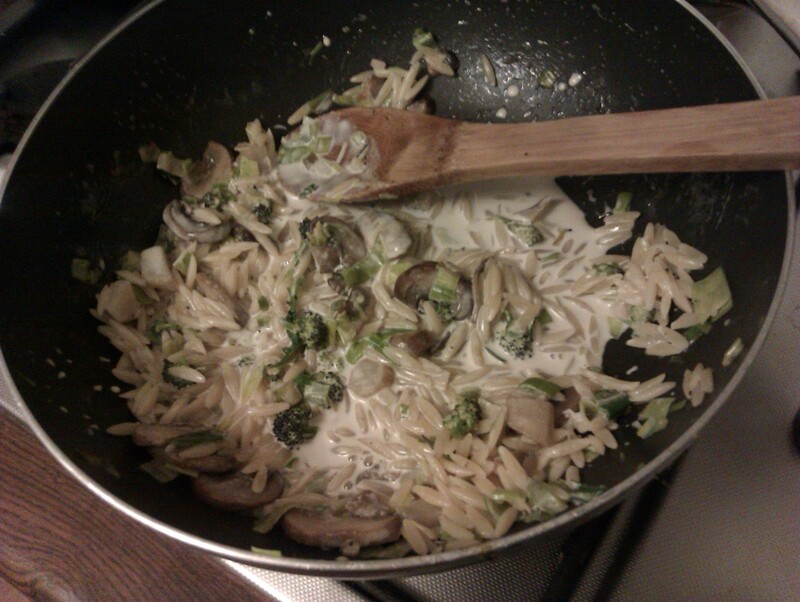 Cooked in a white sauce with risoni (again, bought on a whim from Persepolis). What to do: Cook the risoni in veg broth to strengthen the flavor. Thin the white sauce with the pasta water if you like. What’s in it: beef (like braised steak) in wine sauce with mushrooms and shallots, bundle of herbs (like marjoram and rosemary), whole garlic cloves. Purple sprouting broccoli cooked separately with slivered almonds and added as an afterthought. What to do: Cook the beef bourguignon tenderly and slowly. Serve with broccoli to add a touch of color. This entry was posted in Cooking and Cookery and tagged bad poetry, cooking and cookery, dinner, jerusalem artichokes, purple sprouting broccoli, vegetarian. Bookmark the permalink.